MGD cricket team bagged 2nd runners up position in IPSC Cricket (U-19) tournament held at Mayo College, Ajmer. We are proud to announce that our cricket team participated in IPSC Cricket (U-19) Tournament and secured 2nd runners up position. In this tournament Yashasvi Katta won the best Bowler trophy and Manasvi Katta best Batswoman. We are proud to announce 3 national selections in Taekwondo this year. 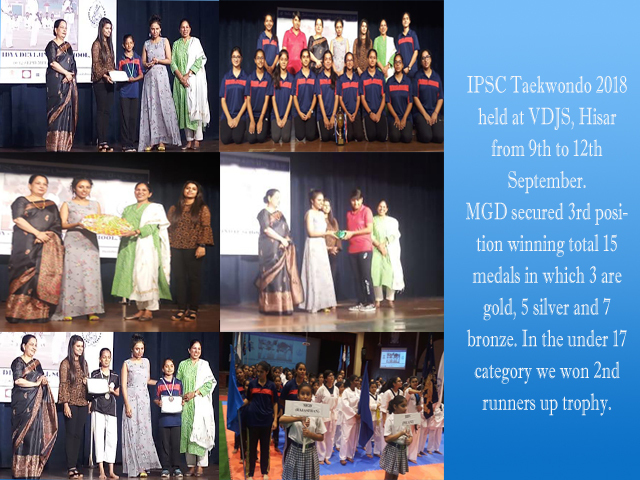 A team of 17 girls along with coach Ms. Sarita participated in IPSC TAEKWONDO champions 2018 held at VDJS, Hisar from 9th to 12th September 2018. 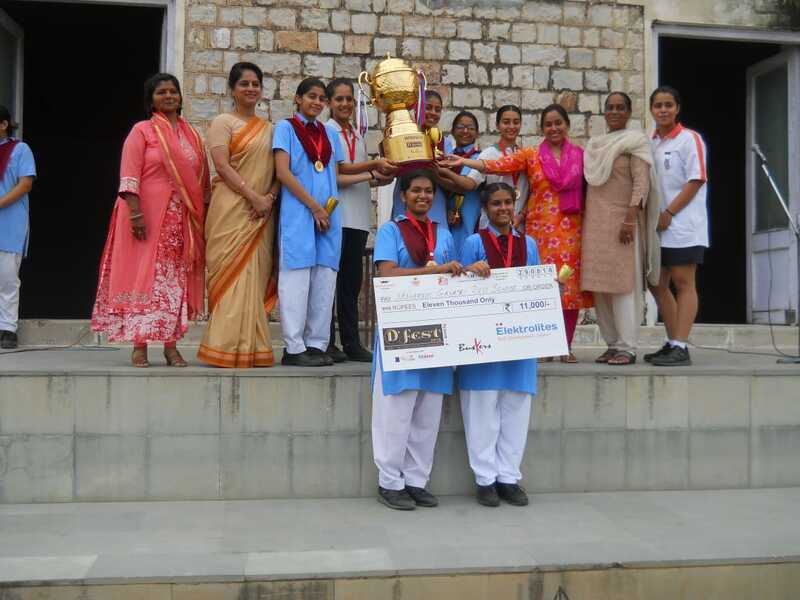 Total 8 schools participated in this event and we are proud to announce that MGD girls secured 3rd position, winning total 15 medals in which 3 are gold, 5 silver and 7 bronze. In the under 17 category we won 2nd runners up trophy. 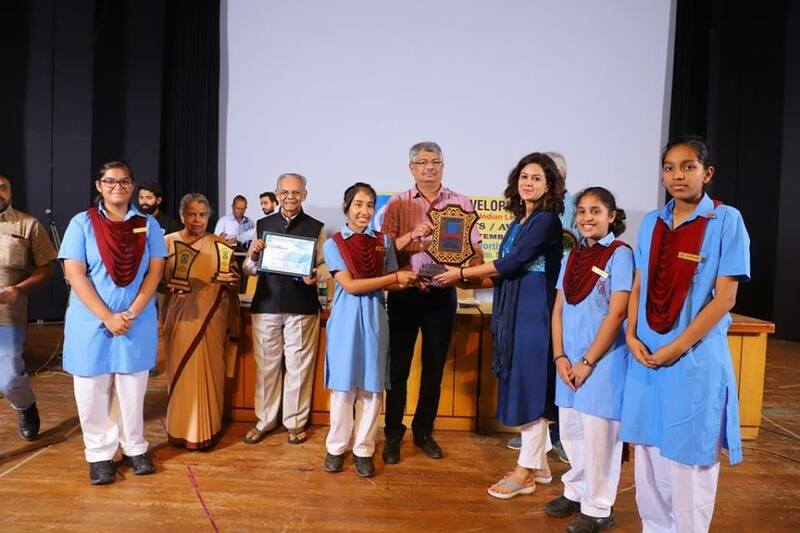 Social Action Award being given to the Community Service Club MGD, for their immense contribution and service, towards the various causes supported by the NGO called IDF Indian Development Foundation. It is with deep sadness that we inform about the passing away of Mr MD Rathi on12/09/2018 at Beawar, Rajasthan. He was born in 1926, at Beawar, he served MGD for a long spell of almost 50 years as a Financial Advisor. 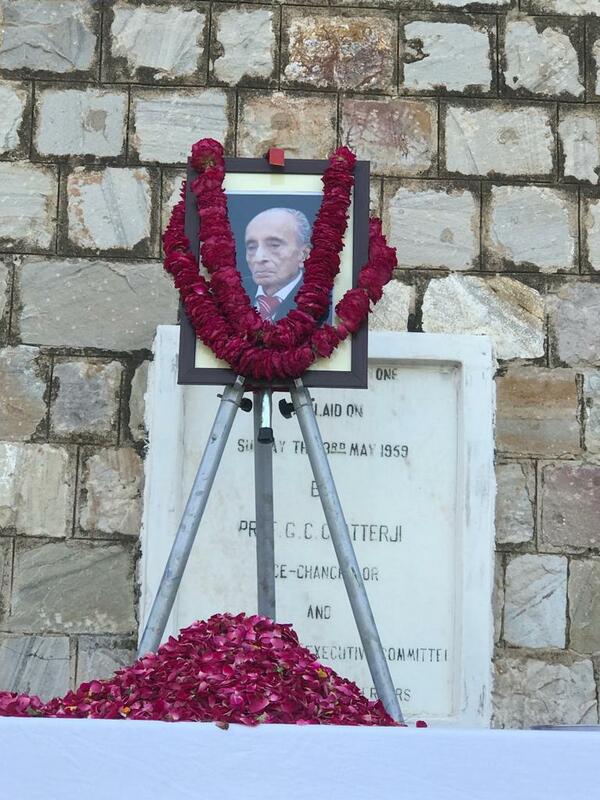 He was one of the pioneer member of Board of Governors. Indeed his valuable contribution to MGD will always be remembered and acknowledged. Our prayers and heartfelt condolences to the bereaved family. May God give them the strength to bear this irreparable loss. On 28th August our school participated in an interschool competition of Hindi, English debate and Science Quiz along with 30 schools of India. 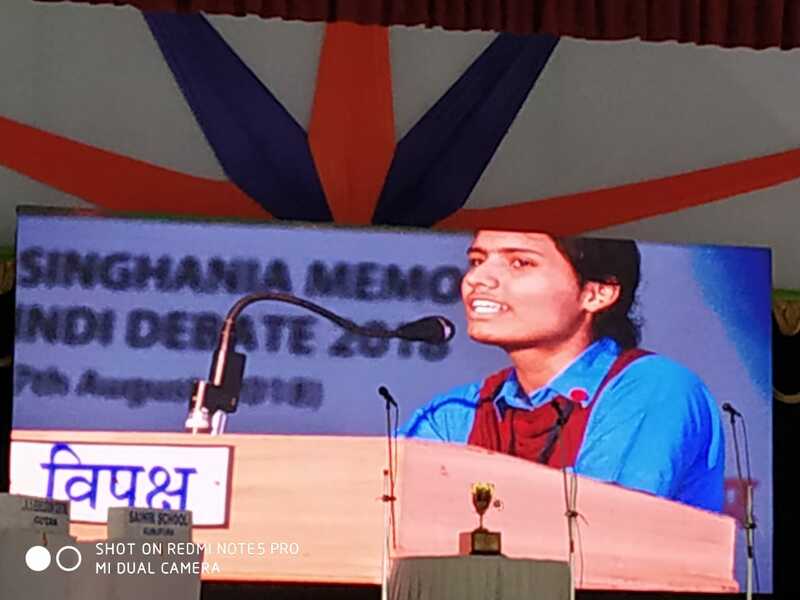 Participants were Pritha Vashist and Parul Khicha for Hindi Debate; Anushka Kumawat and Vanisha for English Debate; and Yashasvi Chouhan and Juhi Sangtani for Science Quiz. Our school won 3rd position in English debate. Pritha Vashist got 1st position as an individual speaker in Hindi Debate. MGDians won D-Fest third time in a row, an Inter school competition. 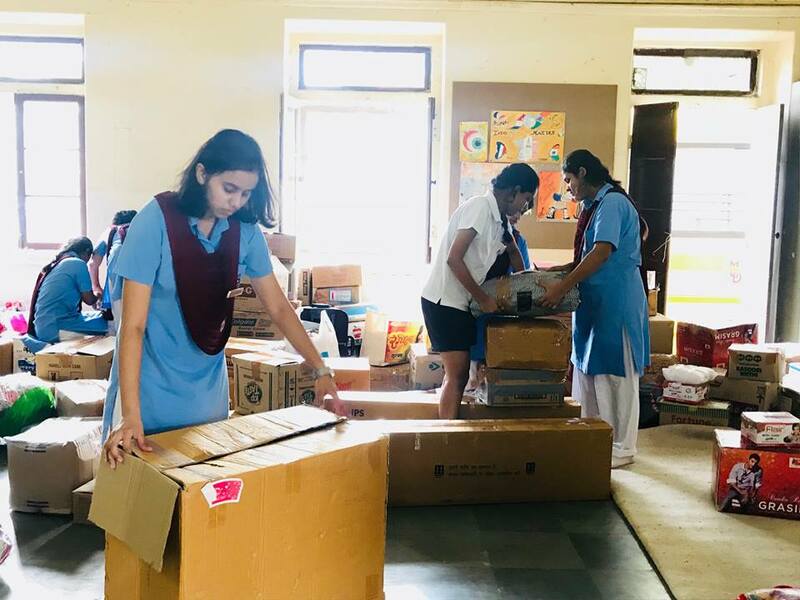 Community Service Club- Donations for Kerala Relief were collected in kind by Community Service Club and uploaded at Mansarovar centre of Goonj Sanstha. Service club members also celebrated Rakshabandhan at Apna Ghar Orphanage where they distributed sweets, chocolates and tied Rakhis. 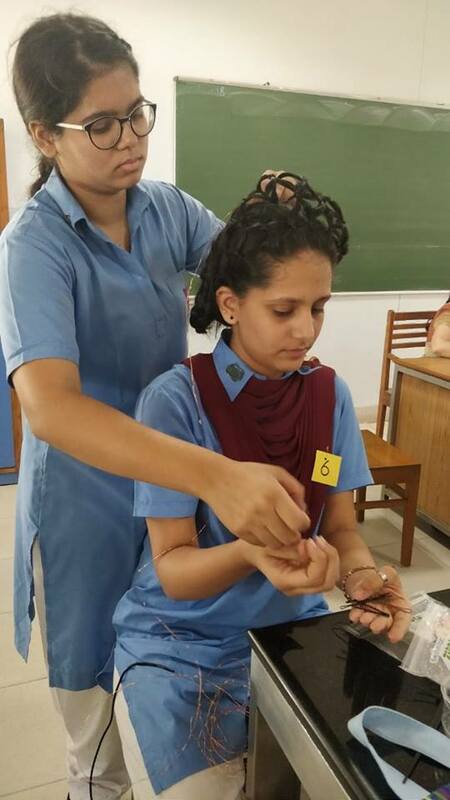 MGD first in Hair Braiding competition in Rukmani Birla Modern High School. 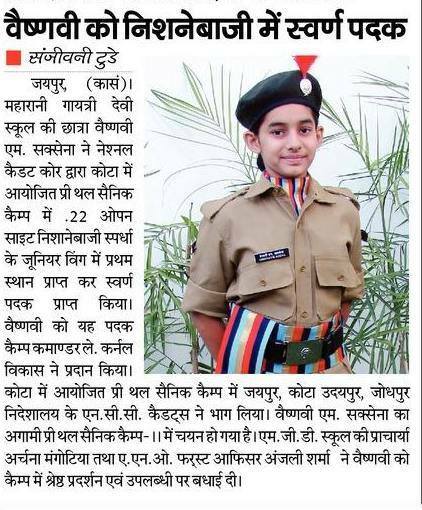 Vaishnavi Saxena - Received a Gold Medal in shooting (.22 open sight) in the Junior Category in the NCC camp organised at Kota. She is selected for a month long Army training camp. (.22 open sight) in the Junior Category in the NCC camp organised at Kota. She is selected for a month long Army training camp. We are very happy to partner with a start up called Doosra Nivala which is providing food to the impoverished section of society by collecting the left over food from our dining hall. Kudos to the young entrepreneur Samyukta who has taken this altruistic initiative at just 19 years of age.
" 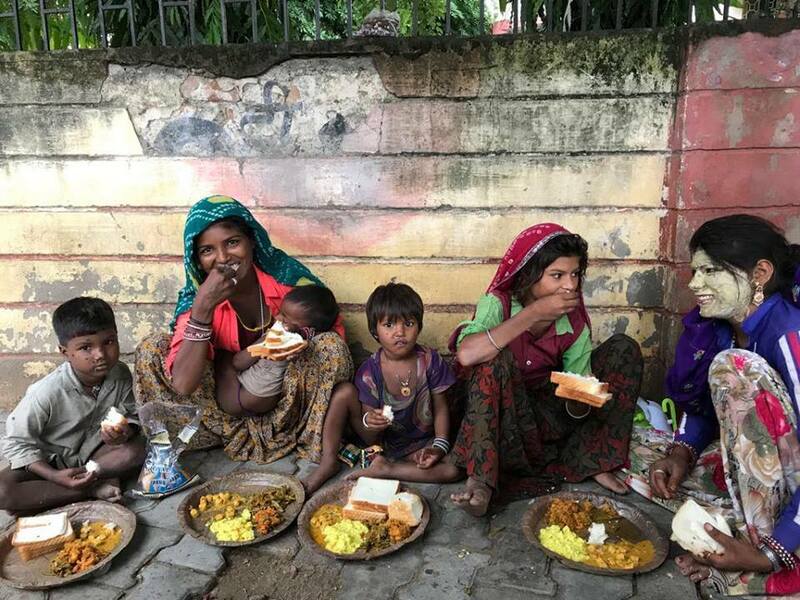 Doosra Nivala in its bid to bridge the gap between surplus food and the hungry, reports another successful collaboration.